Neural computation is a scientific enterprise to understand the neural basis of intelligent behaviors from a computational perspective. Study of neural computation includes, among others, decoding neural activities using statistical and machine learning techniques, and developing computational theories and neural models of perception, cognition, motor control, decision-making and learning. The neural computation minor allows students to learn about the brain from multiple perspectives, and to acquire the necessary background for graduate study in neural computation. Students enrolled in the minor will be exposed to, and hopefully participate in, the research effort in neural computation and computational neuroscience at Carnegie Mellon University. The Minor in Neural Computation is an inter-college minor jointly sponsored by the School of Computer Science, the Mellon College of Science, and the College of Humanities and Social Sciences, and is coordinated by the Center for the Neural Basis of Cognition (CNBC). The Neural computation minor is open to students in any major of any college at Carnegie Mellon. It seeks to attract undergraduate students from computer science, psychology, engineering, biology, statistics, physics, and mathematics from SCS, CIT, H&SS and MCS. The primary objective of the minor is to encourage students in biology and psychology to take computer science, engineering and mathematics courses on the one hand, and to encourage students in computer science, engineering, statistics and physics to take courses in neuroscience and psychology on the other, and to bring students from different disciplines together to form a community. The curriculum and course requirements are designed to maximize the participation of students from diverse academic disciplines. 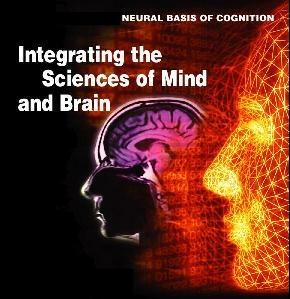 The program seeks to produce students with both basic computational skills and knowledge in cognitive science and neuroscience that are central to computational neuroscience. Students must apply for admission no later than November 30 of their senior years; an admission decision will usually be made within one month. Students are encouraged to apply as early as possible in their undergraduate careers so that the director of the Neural Computation minor can provide advice on their curriculum, but should contact the program director any time even after the deadline. The Minor in Neural Computation will require a total of five courses: four courses drawn from the four core areas (A: neural computation, B: neuroscience, C: cognitive psychology, D: intelligent system analysis), one from each area, and one additional depth elective chosen from one of the core areas that is outside the student’s major. The depth elective can be replaced by a one-year research project in computational neuroscience. No more than two courses can be double counted toward the student’s major or other minors. However, courses taken for general education requirements of the student’s degree are not considered to be double counted. A course taken to satisfy one core area cannot be used to satisfy the course requirement for another core area. The following listing presents a set of current possible courses in each area. Other computational neuroscience courses are being developed at Carnegie Mellon and University of Pittsburgh that will also satisfy core area A requirement and the requirements will be updated as they come on-line. Substitution is possible but requires approval.